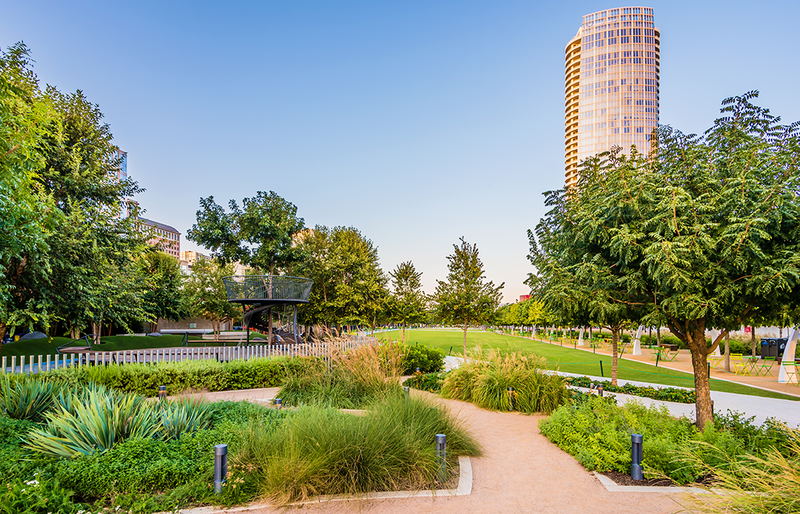 Opened in 2012, Klyde Warren Park is a 5.2-acre deck park, bridging Uptown and downtown Dallas. The park includes a performance pavilion and restaurant designed by Thomas Phifer and Partners, a dog park, lawn areas, walking paths, and water play areas. 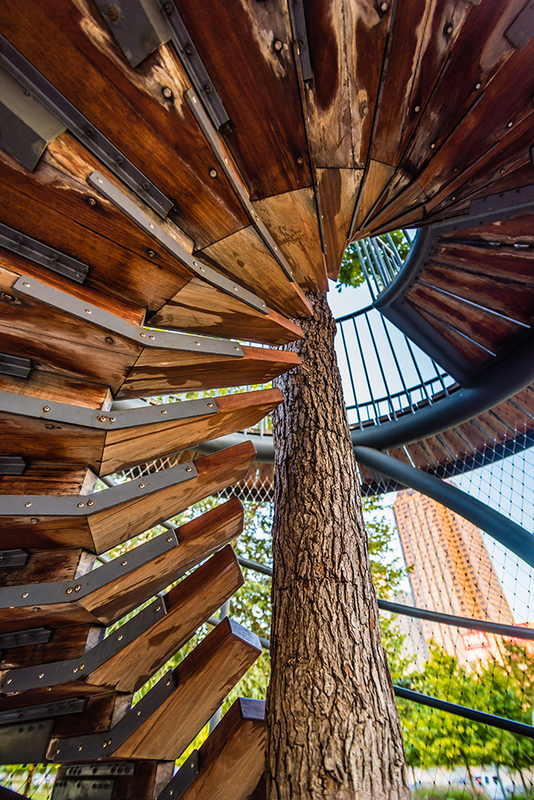 The 15,000-square-foot children’s park includes a storytelling deck built around a live oak tree (the largest tree in the park) with a spiral staircase leading up to a crow’s nest, as well as a sand play area and a water feature resembling a metamorphosing caterpillar. The park’s masterplan and landscape design were created by The Office of James Burnett. The park is a unique urban development covering the recessed eight-lane Woodall Rodgers Freeway between Pearl and St. Paul streets. It received the 2014 Urban Open Space Award from the Urban Land Institute (ULI). The park is actively programmed every day, with areas dedicated for reading and board games as well as activities like table tennis and badminton. 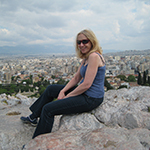 Programming partners provide a variety of options, including yoga classes, art projects, and performances. The Dallas Center for Architecture conducts its Skyline360 Tours at the park several times a week and brings its Build Your City! kids’ activity almost every month.